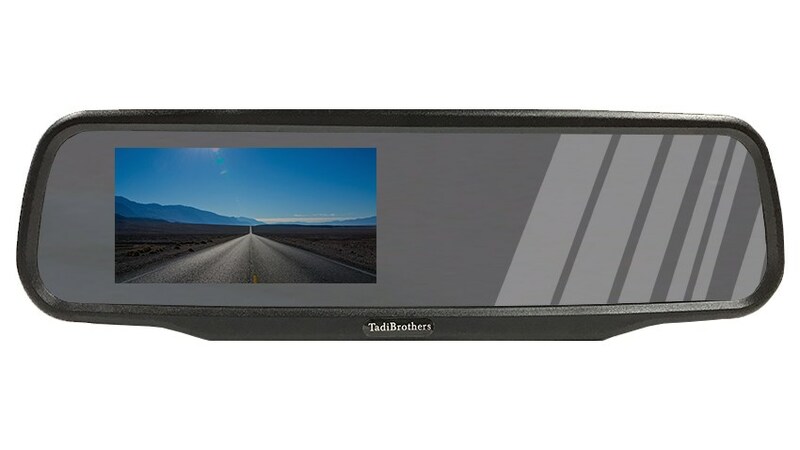 The crystal clear 4.3” LCD Ultra Thin Mirror Monitor is a perfect addition to any driver that needs assistance backing up. You also have 2 inputs so you can connect 2 cameras. See the whole world behind you in rich colors. The Mirror doubles as a regular mirror, when the camera is off, and a monitor (4.3” viewable) when the camera is on. Remember, even when the camera is on you can still use the parts of the mirror section that remain a mirror. This is was of the thinnest mirrors on the market so when it is clipped to your mirror it's almost flush. It gives you a stock look to your mirror, which is one of the most appealing aspects to this mirror.